Our 24 hour pet hospital is located in Auburn Hills and also serves Bloomfield Hills, Pontiac, Rochester Hills, Troy, Flint, Oakland Township, Romeo, Utica, Macomb, Clinton Township, Clarkston and Waterford. Need a 24 hour emergency vet? BluePearl Auburn Hills is minutes from Interstate 75 near Oakland University. It’s open seven days a week, 365 days a year. Our state-of-the-art hospital is equipped with cutting-edge technology, starting with a diode laser for surgery and CT scanner. We also have the ability to provide hemodialysis to patients with specific types of kidney disease. 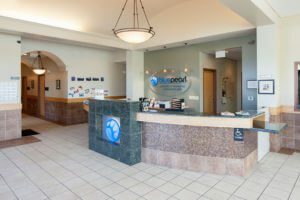 If you last visited when our hospital was called Michigan Veterinary Specialists, you will still see familiar faces, making you and your pet feel welcome. 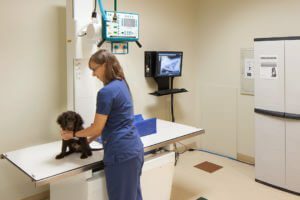 In addition to 24 hour emergency care, we have a wide array of specialists who provide advanced care and options that complement the work of family veterinarians.